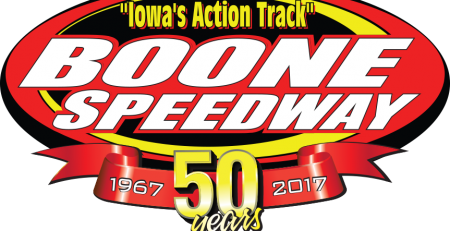 After an incident Saturday night, a formal press release was put out online and on social media from a third party regarding safety precautions at the Boone Speedway. In that press release, there were some inaccuracies that stand to be corrected regarding an on-track incident and with safety at the Boone Speedway. “We want to ease any concerns that have come up after reading a press release that was inaccurate with what happened Saturday night. We want to reassure our competitors that we do have a staff with many years experience that have handled many different situations,” said Coty Mallicoat, representative for Boone Speedway. With that being said, the release stated that speedway staff allowed a competitor to sit upside down in a vulnerable position for 45 seconds before someone came to check on him, and that it was not a member of the safety crew. This was simply incorrect. Per the replay footage provided, a trained staff member with over 20 years experience at the track was the first on the scene. He was there within six seconds of the car coming to a complete stop on his ATV. At that point in time, the video footage cuts to turn 4, and comes back to the incident which shows multiple trained track staff getting the car back on it’s side within 32 seconds of the first staff member arriving to check on the driver. As seen in the video, safety crew did in-fact have fire extinguishers at the scene. 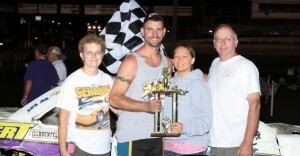 Boone Speedway has EMT personnel and an ambulance from the Boone County Hospital on-site at every event. If there happens to be a need for transport, the races resume when another ambulance is back on the grounds. There are fire extinguishers on all the safety crew four wheelers, fire extinguishers readily available at the light poles in the infield and at the infield scales. “Safety for our racers is a priority; we want to make sure the things getting put out there are accurate about how we handle situations like that. Racing can be a dangerous sport and we do our best to reduce the risk. We take steps to provide the best racing environment we can, contrary to what has been published,” said Mallicoat. 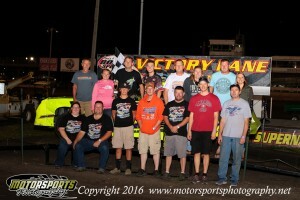 Racing at the Boone Speedway continues every Saturday Night, with this weekend being the season points opener of the Harris Auto Racing Saturday Night Series.